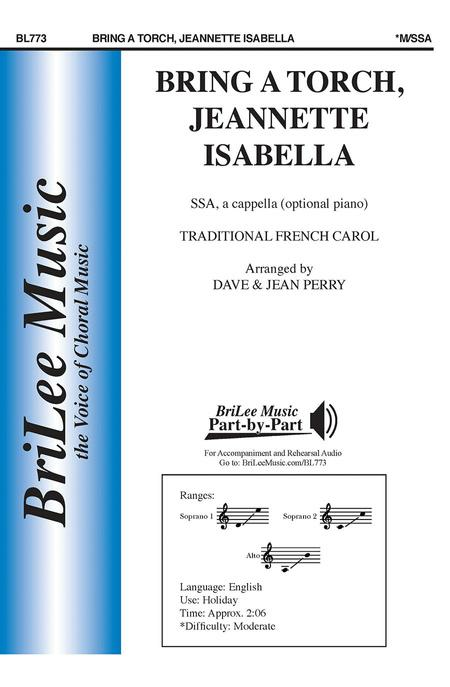 Composed by Jean L. Perry and David A. Perry. Octavo. With Standard notation. 12 pages. Duration 2 minutes, 9 seconds. BriLee Music #BL00773. Published by BriLee Music (CF.BL773). 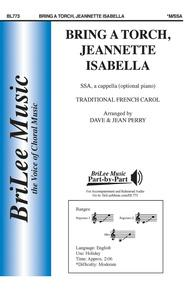 One of the most well-known French carols, Bring a Torch, Jeannette Isabella may be performed with or without accompaniment depending on the needs of the ensemble. If performed accompanied, the lilting nature of 6/8 meter couples effectively with the light, transparent nature of the piano part. A necessary addition to any holiday concert.